Check out this great new offer being promoted by Chobani Gimmies. 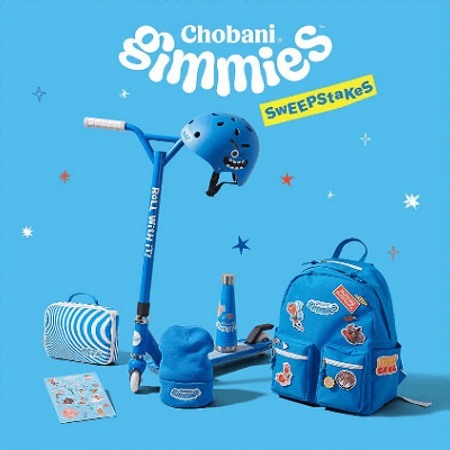 Everyday through March 17th Chobani is giving away free Chobani Gimmies Swag at 12:00 pm EST. There are a ton of items up for grabs. Things like: skimboards, necklaces, sleeping bags, jackets, earbuds, t-shirts, bean bag chairs and a lot more. They will be giving these items away daily. Find a list of the offers below, along with a link when you can enter at the appropriate time. Enter to win these prizes on the appropriate day at 12pm EST right here.